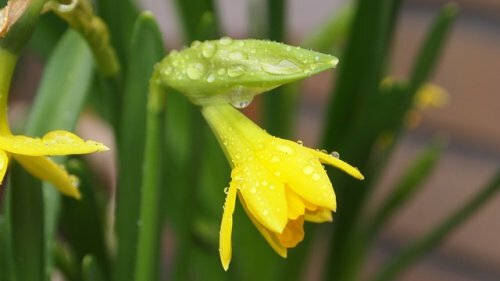 An old English saying states, "March winds and April showers bring May flowers." This may sound lovely, but what it often translates to during the spring season is some crazy weather patterns! One day it is hot and humid; the next, cold and windy. You don't know whether to use your heater or your air conditioner—sometimes it even seems like you need both on the same day! Worst of all, your sinuses and your home are bearing the brunt of spring's indecision. Along with you, they are having to adjust to ever-changing fluctuations between humidity and dryness. In these times, use of a humidifier and a dehumidifier can help to alleviate concerns about mold growth and sinus health, so long as you know what each is designed to do and when to use them. In this post, learn how a humidifier and a dehumidifier can work together to keep both your sinuses and your indoor air healthy and pure. For optimal health and indoor air purity, you should aim to keep the humidity levels in your home between 30 and 50 percent. In the short term, if you have too little humidity in your indoor air, your sinuses can dry out, your lips may become chapped or cracked, your breathing may feel labored or harsh, and you may notice an increase in static electricity. Over time, the physical symptoms can become more severe and your furnishings and furniture as well as the structure of your home can dry out to the point of cracking. In the short term, if your indoor air humidity levels are too high, you may suffer from worsening allergies and symptoms that linger. Your home may develop mold or mildew, and you may notice condensation forming on the insides of the window panes. Over time, your home may begin to smell musty and unpleasant, and your furnishings and structure can become warped and damaged from ongoing dampness. A humidifier adds humidity back into your indoor air. There are humidifiers you can use for your home, workplace, or vehicle. There are several different types of humidifiers (as defined by the mechanisms used to generate and deliver the moisture back into the surrounding air) and the model you choose depends on the type of humidifier and size of your spaces. Cool mist While this humidifier type tends to be noisier and more prone to growing mold inside the filter, it is also the safest and most natural humidifier and uses the least power. Warm mist This humidifier type is often the best for people with allergies or chronic breathing issues and is also much quieter than the cool mist humidifier. Ultrasonic This type of humidifier is almost completely silent, making it ideal for public spaces. Some can offer either warm or cool mist options. UV (germ-free) These newer humidifiers use UV light to kill germs and can be great for nurseries, kids' areas, and anywhere germs are prevalent. Whole house Whole house humidifiers are able to control the indoor air humidity level throughout your home, simplifying the process of adjusting for seasonal shifts and also lowering your energy bills on cooler days, since air that is more humid also feels warmer. The dehumidifier, in contrast, removes humidity from your indoor air. There are a number of approaches you can choose to extract moisture from overly damp indoor air. As with humidifiers, the model you choose depends on the size and humidity of the space. Heat pump As its name suggests, the heat pump dehumidifier uses a heat pump and coil system plus a fan to remove the moisture from the air and keep the humidity levels regulated. Ventilators Ventilating dehumidifiers are typically used for lesser-used areas such as attics, crawlspaces, and basements. An exhaust fan kicks in when the inbuilt sensor detects elevated humidity. Chemical absorbent These dehumidifiers are very simple. There is a desiccant agent with a silica-based gel and a wheel that drives the humid air out. Salt-based De-icing salt can double as a natural dehumidifier when placed in a container. The salt will extract the humidity from the air until it dissolves and needs to be replaced. Whole house Whole house dehumidifiers work similarly to whole house humidifiers to regulate the indoor air humidity levels seasonally. Here are some notes about the best use of humidifiers and dehumidifiers. When days feel cool and dry. When you feel your sinuses and lips begin to get dry and irritated. When you are struggling with asthma or other breathing/allergy issues. When the humidity level in your indoor air drops below 30 percent. When days feel warm and humid. When allergies due to dust mites, mildew/mold, or pollen are suspected. Anywhere/anytime you see mildew, mold, or condensation developing. When the humidity level in your indoor air exceeds 50 percent. Here at Clean Air Solutions Hamilton, we are always happy to consult with you to maintain optimal air purity, quality, and humidity levels for your health and that of your family. We work with you to develop a customized solution to control the indoor air humidity levels for your entire home and can offer guidance on boosting or lowering humidity levels in specific rooms as well. Contact us today at 905-544-2470 or online here.